A simple yet very popular ice dessert like sorbet or ice cream, which is was made popular in the USA by Italian immigrants in the early 1900. Mix the Knorr Lime Seasoning juice into the 450ml water to dissolve and keep cool. Put the sugar and 500ml water into a pot and bring to a simmer to dissolve all the sugar. Let it cool then add the lime juice. Pour into ice cream churner with the salt and churn till soft and light. 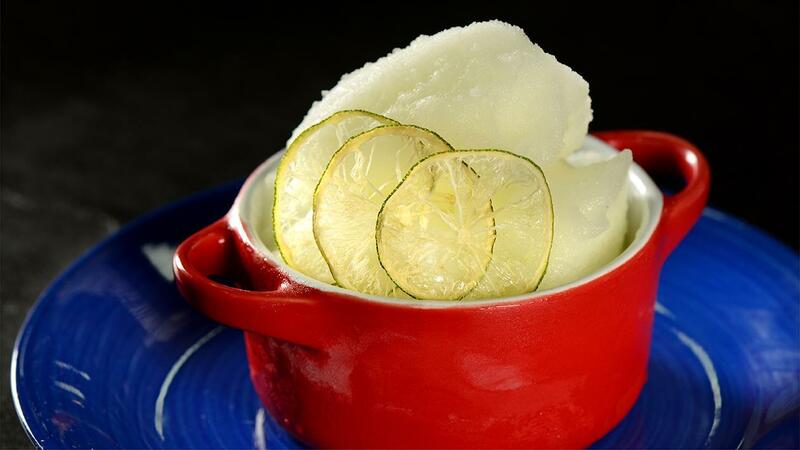 Scoop the Italian ice into a bowl and garnish with the Lime chip.